In the retrospect of history, the picture of the emerging prisoner, Man, can be seen in clear delineation. Little by little he has mastered the planetary boundaries; little by little, he has grown from the stage of cave man to that of a Shakespeare, a Newton, a Leonardo da Vinci, an Einstein, a St. Francis of Assisi, to a Christ and a Buddha. ” In an article on Our Goal Is Unity in The Free World of October, 1944,… Albert Einstein regretfully took note of “an odious materialistic attitude toward life which leads to the predominance of an unrestrained selfishness. ” But how shall this materialism and selfishness of our culture be corrected. By geodesies in the space-time manifold of relativity theory. This would be cold comfort from a warm heart and Einstein does not offer this way out. Indeed, Einstein offers no clear solution. The simple truth is that the only counterweight to “materialism” is “idealism” and this must come out of the very heart of science, as an evolutionary development. If each one of us would scientifically regard ourselves as centres of force, holding the matter of our bodies within our radius of control, and thus working through and in them, we should have a hypothesis whereby the entire cosmic scheme could be interpreted. 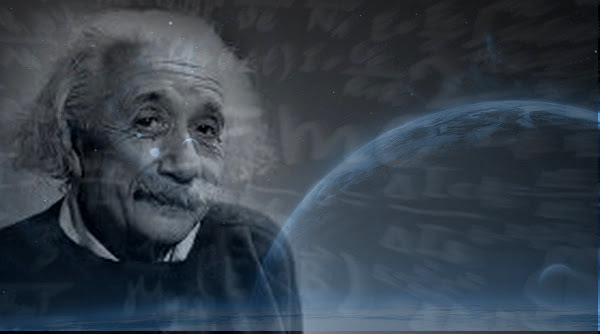 If, as Einstein hints, our entire solar system is but a sphere, colouring is given to the deduction that it, in its turn, may be but a cosmic atom; thus we would have a place within a still larger scheme, and have a centre around which our system rotates, and in which it is as the electron to the atom. We have been told by astronomers that our entire system is probably revolving around a central point in the heavens.